Why are my AdWords stars not being displayed? Displaying your star-ratings in Google Adwords can significantly increase the click-through rates of your ads. 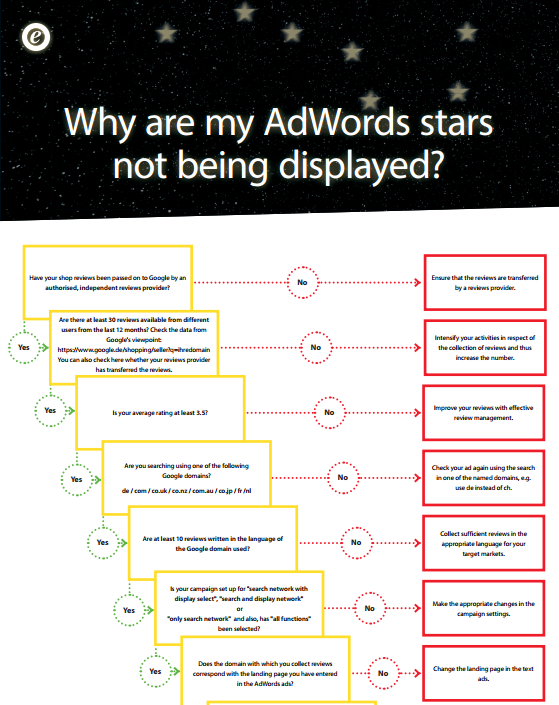 Trusted Shops analysed the reasons why your stars might not be displayed on AdWords.